Enter it here and get the results. If you're interested in buying, selling, or just want helpful information - contact us here! THE HARMS TEAM is a close knit family, passionate about the industry and committed to serving others. You can be confident that we will alleviate any of your concerns with confidence, all while throwing a little fun into your real estate experience. Important details and paperwork are a large part of the process, but you have our word, that we will remain relationship focused, rather than transaction oriented. 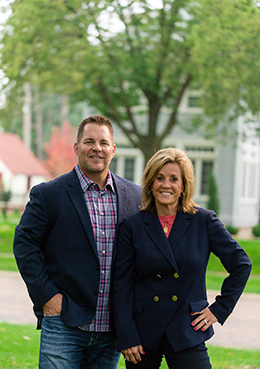 With experience in a wide variety of residential real estate, we have an intimate knowledge of the market in the Sioux Falls area. We combine our collective experience and work passionately to help our clients reach their real estate goals. We believe that together, all of us are smarter than just one of us! Whether you are looking to buy, sell, or are just wanting some information, give us a call today! "It was the best experience we could have asked for - Sharen and Eric were very professional and very approachable. We would recommend them to anyone!"